Be a volunteer. Hear our environment’s screams!But what does it take to be an environmentalist? Have you ever wondered how you can be of help to the environment? Easy, be a volunteer. Being an environmental volunteer can be a tough but fulfilling task. Here are some of the character guidelineson environmental volunteering. Be aware. Learn about the environment by conducting studies and attending seminars that would enhance your knowledge and widen your perspective about the environment. The more aware you are, the greater the chance that you would come up with better ideas that would help us in saving our environment. It will require dirty hands to get some workdone. In cleaning dirty areas or in planting trees, your hands will definitely get dirty. At the end of the day, it will all be worth it. As you see a successful cleanup drive and greener ground, you’d probably kiss your dirty hands. To show concern calls for necessary actions to take. It does not end up with just being concerned. You need to act and do something that substantiates the concern. Start with small steps that will eventually lead to bigger ones. Start with yourself and then encourage other people. Open your mind and your heart to a vast array of greater possibilities. It is not too late to save our environment. We can always do something to help. Remember that little things can sum up to bigger ones. We just have to set a goal and work towards it united. Start with yourself. Do it properly and everyone else will follow. Stop contributing to the build-up of trash in the community we live in. Start reducing the use of plastics that drastically harm the environment. Reuse and recycle non-biodegradable materials to prevent immense plastic production. Choose to use renewable materials and resources and utilize their purpose. Avoid and stop the use of plastics. These tips are not set in stone, and everyone has their own approach. Yet they are handy to get you started in making a positive change and becoming an environmental volunteer. In order to create more awareness regarding the plight of our environment and planet, we have a lot of commemorative dates on our yearly calendar. Each of these events can be celebrated in various ways, whether alone at home or with a group of people. Needless to say, you don’t have to be a member of Greenpeace to make a positive change either. When every individual start taking responsibility for their actions and their repercussions, we could start seeing a change for the better sooner than we think. You may think that some of the environmental awareness days on the calendar aren’t worth investigating, but it is exactly this train of thought that is detrimental to our environment. Can you imagine how big an impact it could make if every person in the world planted one tree on World Arbor Day? It is for this reason that we have decided to share these dates and events with you here. There is always something that any individual can do, even if you just decide to make others aware of these campaigns. Without further delay, in this post, we take a look at some of the most important environmental events you should be aware of this year. This annual event has been celebrated worldwide since 1970. It marks a day where everyone celebrates and promotes world peace and the weight of environmental issues and how we can support the protection of our precious environment. World Biodiversity Day was sanctioned by the United Nations after 2015 and aims to promote sustainable development among other things. People from around the globe participate in this event, and every year has its own unique theme. This day has been celebrated since 1974 and was instated by the United Nations. The goal of this global campaign is to raise awareness about protecting our environment. As with some other UN events, this event also has a new theme every year. The oceans are just as important and makeup plenty of our natural environments. This annual event has been celebrated since 1992 and aims to create awareness on the protection of all the oceans and its inhabitants. Whether you decide to do a beach clean-up or join a group of people celebrating any of these environmental holidays, be sure to mark these dates and do something for our environment. Be sure to contact us if you have any questions about any of these events, or if you would like us to add one that you feel should be featured here. The Earth has been our home since the beginning of time. As we inhabit this planet, we continue to put it at risk. People are polluting the natural resources and this is a threat to our environment. We should be aware of what is happening in our environment. The Earth needs saving andwe should start today. As this is an issue that concerns everyone on the planet, we provide four suggestions for environmentally friendly living practices in this post. Make sure that faucets are properly turned off after use. Always check for any leakage in water piping to ensure no water is wasted. You can also reuse water for watering plants or cleaning purposes. These simple ways of conserving water will be of great help to save our environment. Prefer natural over electrical in terms of lighting and ventilation. Choose to open the windows and doors of your room and let the sunshine in. In doing so, proper ventilation is facilitated. The air from outside will enter your room and circulate a fresh flow. When cooking, select to cook outside using natural fire. It will save you more energy than using electric stoves and cookers. Make sure that you are using an advanced HVAC system. Heating, ventilation, and air-conditioning units have to be constantly checked to prevent unwarranted energy use. Encourage yourself to be physically active. Yes, it is important that you do more physical activities like walking. Why not try to take a walk instead of always using vehicles? Walking will help your body keep healthy and at the same time, you won’t cause air pollution. Reduce the use of non-biodegradable materials such as plastics and expanded polystyrene (EPS) commonly known as Styrofoam. These materials are harmful to our environment. We need to start sourcing environmental-friendly materials and eliminate the use of plastics. Another way of how we can help in saving our environment is to reuse materials and things. We can always find another purpose for some used things. We can reuse bottles for containers and decorations. We may opt for reusable bags when shopping. Even paper can be recycled. We can even repurpose clothes for arts and crafts. There really are a lot of ways on how we can help save our environment. 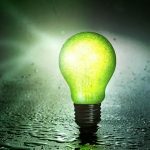 Energy conservation refers to the use of less energy. And because of the limited supply of non-renewable energy resources, it is essential for us to conserve energy and observe proper use of renewable energy. Have you heard about artificial energy? What if we ran out of energy resources andwe can only resort to be using artificial energy apart from the renewable resources? And what if there is no more energy production that can happen? Because we make too much use of non-renewable energy resources, the concept of having to use artificial energy is a possibility. Artificial means something made or produced by human rather than occurring naturally. Artificial energy, therefore, is man-made energy. The greatest source of artificial energy would only be nuclear fusion which is the conversion of hydrogen to energy in stars. Due to the increase in energy demand all over the globe, with the rapid urbanization which will demand large-scale energy operation, we can foresee energy fusion in the future. Energy fusion is the production of energy by fusing atoms together. But how is this possible? Well, with the advancement in technology combined with an unquestionable intellectual approach of our modern scientists, it is not possible that in the future, the use of energy fusion will be supported. Nuclear fusion will be used in creating a potential energy source. This will be the artificial energy source that would replace the loss of renewable sources of energy. However, it is still stimulated that today, we continually save and conserve all the energy sources that we have. Let us be wise on how to use them to cope with the increasing energy that the world demands. There will be benefits in using artificial energy yet there will always be a payback for the loss of natural resources which we can never replace. And as inhabitants of the earth, we are the ones responsible for the things that happen on our planet. We need to be watchful and cautious with every action we take. As individuals, saving energy is an initial move. The proper use of electricity and conserving water would be our contribution to saving energy. And with this move, we are saving our earth and our future. Let us start today. Let us save the future. Let us protect the earth. This is our challenge.